Video: Jesse Ventura and Brigida Santos revisit the assassination of President John F. Kennedy. Witness David Wallace reflects on the events from that day and shares rare photos from the crime scene. Expert JFK researcher James DiEugenio dissects newly-declassified documents. What does the US Government have to hide about the assassination of John Fitzgerald Kennedy after 45 years? 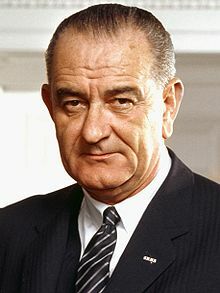 If Lee Harvey Oswald really killed the President, then what is the big deal in releasing unredacted documents? Obviously the government has plenty to hide and this gives us every reason to question the official story. The documents have been released with huge gaps in them due to whiting out and other forms of illegibility. As it goes through the motions of acknowledging the centenary of the birth of John Fitzgerald Kennedy (JFK) on 29 May 1917, the mainstream media will, of course, continue to conceal the true significance of his life and his achievements as United States' President and, before that, as an elected representative in both the United States' House of Representatives and Senate. Heroically, on at least two occasions, JFK overruled plans by the United States' Joint Chiefs of Staff to launch a first strike nuclear war against the Soviet Union. For that alone, the debt of gratitude owed by humanity to JFK cannot be repaid. President John F. Kennedy's Commencement Address of 10 June 1963 at the American University is included below. It was linked to from an article by Paul Craig Roberts, JFK at 100 (24/5/17). (The video of this speech could not be embedded here. It can be found here on the John F. Kennedy Presidential Library and Museum. (The interview in this format and with these images was originally published by SANA on 21 Jan 2014, the day the before the scheduled Geneva 2 Peace talks. It has also been re-published on Global Research.) Editorial introduction: As noted before on candobetter on 11 June 2013, for a leader, whom even many ostensibly anti-war spokespersons insist is a corrupt and brutal dictator, Syrian President Bashar al-Assad has shown an astonishing willingness to be interviewed by critical and often hostile reporters. In not one interview have I seen President al-Assad fail to give informative and clearly truthful answers to all questions put to him (with the exception of those questions relating to military security and areas outside of his own direct reponsibility). Not only is President al-Assad acting upon the most laudable and humane motivations, he is also astonishingly intelligent, well-informed and quick-thinking as the interview below will show. One of the few political leaders I can think of, who comes close to President al-Assad in these qualities, is the late United States President John F. Kennedy (JFK) who was murdered over 50 years ago for standing up to the same sorts of criminals that President al-Assad and the Syrian people are fighting today. It seems that President al-Assad and most supporters of Syria have not been made aware that the late JFK, as Senator in the 1950s and as President from January 1961, was an outspoken supporter of Arab nationalism, particularly that of the Algerian FLN. Were that to be made known, then possibly support for the Syrian people's fight against aggression could be made even broader still. See also:, The Kennedy Assassination (November 22, 1963) 50 Years Later by Paul Craig Roberts, Confession: Jury verdict prove CIA killed JFK of 20 Nov Dr. Kevin Barrett, 50yrs after JFK assassination: Choose your side in war on freedom of 18 Nov by Tony Gosling, JFK assassination a CIA coup d’état: German author by , 5 decades later, JFK files still sealed of 22 Nov on PressTV, Where New JFK Evidence Points of 19 Nov by James diEugenio. 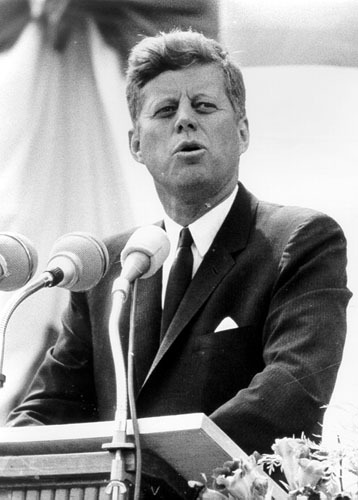 President John Fitzgerald Kennedy (1917-1963) was an outstandingly courageous, kind, visionary, and hardworking leader. Amongst his many achievements, was the prevention of nuclear war on no less than three occasions. For this alone, all humanity owes Kennedy an unrepayable debt of gratitude. Instead of showing gratitude, the mainstream media and the political establishment have chosen to ignore him for most of the time since his murder, particularly in the two decades since the release of Oliver Stone's movie JFK in 1991. As the 50th anniversary of his murder approached, it was not possible for the mainstream media to continue to do so without seriously damaging their own credibility. Instead they are staging a pretense of 'commemorating' the anniversary, whilst concealing or obfuscating the truth about his Presidency and the conspiracy to kill him. Includes embedded YouTube broadcast War and Peace in the Asia-Pacific - Ramsey Clark at the Foreign Correspondents' Club of Japan of speech given on 15 Aug 2013. Much of the truth and significance of the presidencies of FDR and JFK has been buried by mainstream and supposedly progressive and left newsmedia. In 1991, Oliver Stone began to rectify this when when he released the film JFK. JFK was based on the book On the Trail of the Assassins by the Attorney of the District of New Orleans Jim Garrison (1921-1992). In spite of the efforts to bury the truth, Oliver Stone has persisted with his priceless work. The latest is his TV documentary and accompanying book The Untold History of the United States of 2012. Miko Peled, whose father Mattitya Peled served as a General in the Israeli Army, speaks at a forum in Seattle, in the United States on 9 Oct 2012. The talk includes a comprehensive explanation of how the Palestinians were progressively expelled from more and more of their homeland since 1947. Myths that depict Israel as merely defending itself from the aggression of Palestinians and neighbouring Arab nations in the wars of 1947 and 1967 are demolished. (The talk is embedded in this article. It can be found on YouTube at http://www.youtube.com/watch?v=etXAm-OylQQ . See also: Kennedy, the Lobby and the Bomb 1 of 2 May 2013 by Laurent Guyénot on Voltaire Net. Read more about The Assassination of RFK: A Time for Justice! Comments made on previous "Miscellaneous comments" page from 5 May 2012 can be found here. Today is the 95th Birthday of President John F Kennedy. JFK was a kind and selfless leader every bit as great in substance as his strikingly good appearance and charming personality. Amongst his other achievements, JFK literally saved the world from devastation on no less than three occasions when he over-ruled the wishes of his military Joint Chiefs of staff to launch all-out nuclear war. Contrary to lies peddled by phony left wing intellectuals, he strived to end the Vietnam War, just as he had used his influence as a Senator in the 1950's to stop the French colonial war against Algeria. This speech from YouTube is also recently an embedded broadcast on Brasscheck TV for the month of April 2012. In this speech Kennedy explains why he welcomes scrutiny of his decisions and engaging in debate about them. He famously praised the ancient Athenian legislator Solon who stated that avoiding controversy should be considered a crime. The embedded version of JFK's Secret Societies Speech is 5 minutes, 23 seconds long. The full 19 minutes and 44 second version can be found here. Next Tuesday 22 November is the 48th anniversary of the assassination of President John F. Kennedy in 1963. The whole world is indebted to JFK more than to any other single individual in history for preserving the peace and, on no less than three occasions, preventing global nuclear holocaust. This was originally posted in response to an article Armistice Day of 18 November on johnquiggin.com. See also: The YouTube channel of Charles Ochelli, the Blind JFK researcher, James Corbett's interview with Charles Ochelli. Why won't the "left" thank JFK for preventing nuclear war? The world owes President John F Kennedy, who was slain by the US military-industrial complex on 22 November 1963, an unrepayable debt of gratitude for stopping not once, but three times, the unthinkable horror of global nuclear war. He also prevented an invasion of Cuba, and did what he could to prevent the Vietnam War. Those unfamilar with JFK's achievements and plans, which were thwarted by his murder, must see Oliver Stone's JFK. Read more about Why won't the "left" thank JFK for preventing nuclear war? As long ago as 1999 a civil trial jury found that Loyd Jowers participated in a conspiracy with the US state to kill Martin Luther King. Even though Martin Luther King is world renowned, the results of this trial are still not widely known and probably few Australians have any idea of the truth. The man officially convicted of the assassination, James Earl Ray, died in jail. The civil trial exonerated him. Successive governments had refused to reopen his case. Part of this remarkable story is about the efforts of the King family and friends to bring about a thorough investigation and the absolute recalcitrance of the US government.